Choose Craven, Hoover, and Blazek P.C. for Indianapolis Personal Injury Representation You Can Trust! | Craven, Hoover, & Blazek P.C. Choose Craven, Hoover, and Blazek P.C. for Indianapolis Personal Injury Representation You Can Trust! 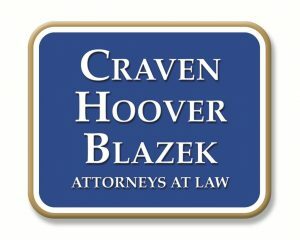 Craven, Hoover, and Blazek P.C. is a highly respected and seasoned personal injury law firm located in downtown Indianapolis, Indiana. We retain a team of skilled accident attorneys with extensive litigation and trial experience. When it comes to recovering full and fair compensation for damages following a serious injury, we are the law firm to choose. We offer free initial consultations so that clients are not subjected to out-of-pocket expenses on our first visit to assess our claim. And Craven, Hoover, and Blazek P.C. never collects any upfront lawyer fees, and only collects fees if we win your settlement. Call us at 317-881-2700 and speak with a friendly and knowledgeable company representative to learn more about our Indianapolis personal injury law firm, today. We are the Personal Injury Lawyers that Will Recover the Full and Fair Compensation You Deserve Following a Serious Accident in Indianapolis, Indiana! 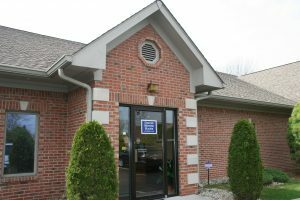 When you call Craven, Hoover, and Blazek P.C., you can expect a prompt and friendly greeting from a knowledgeable and caring company representative or administrator. You will then have an opportunity to ask any questions you like, set up a free initial consultation, or request to speak with a licensed accident attorney. Compassion is apparent when you come to Craven, Hoover, and Blazek P.C. with your legal afflictions. We care about our clients and our clients’ families. Call us directly at 317-881-2700 to speak with a licensed personal injury lawyer in Indianapolis, IN today. This entry was posted in Personal Injury and tagged accident attorney Indianapolis, Accident Lawsuits, Indianapolis personal injury lawyer, personal injury claims Indianapolis, personal injury lawyer Indianapolis. Bookmark the permalink.